The RHDV1-K5 virus will be released in Australia in the first week of March 2017. The application for the importation and release of RHDV1-V5 in New Zealand is being processed by the authorities. The release is being planned for Canterbury, Otago and Marlborough regions. A date for release of the virus has not yet been advised. The New Zealand Rabbit Coordination Group and Landcare Research are in the process of seeking approval from Ministry for Primary Industries (MPI) / ACVM to introduce a Korean variant of the rabbit calicivirus already present in New Zealand. The applicants hope that the Korean variant (RHDV1 K5 or K5) will overcome the natural resistance that the NZ wild rabbit population has developed to the existing virus (RHDV1 v321). In naïve rabbits, there is no difference in morbidity and mortality between RHDV1 v321 and K5. Although initial indications were that the release of K5 would be in autumn 2017 to coincide with the release of K5 in Australia, K5 has not yet been approved in New Zealand for release. It is our understanding that if K5 is approved for release, it will be confined to the Canterbury, Otago and Marlborough regions. The virus may of course spread beyond these regions with time. The vaccination that is registered for use against RHDV1 v321 in New Zealand rabbits (Cylap®), does not claim to have efficacy against K5. The NSW Department of Primary Industries implemented a pilot study through the Invasive Animals CRC to determine the suitability of Cylap® to protect domestic and production rabbits from RHDV1 K5. The experiment compared the mortality of a small number of vaccinated and unvaccinated rabbits that were infected with a high dose of RHDV1 K5 thirty days post vaccination. All of the rabbits that were vaccinated with Cylap® survived the infection and none of the unvaccinated rabbits survived. Based on this study the indications are that Cylap® will provide protection against K5. Rabbits at risk of exposure to K5 should be vaccinated with Cylap® and kept up-to-date. The label recommendation is for Cylap to be administered at 10-12 weeks, followed by an annual booster. Vaccinate at 10-12 weeks, booster at 14-16 weeks, then ongoing 12 monthly boosters. The Australian Veterinary Association have recommended a much more aggressive protocol, however you must bear in mind that they are also responding to the risks from RHDV2, a strain of calicivirus not present in New Zealand. Their recommendation for beginning vaccination at 4 weeks and giving boosters 6 monthly is in response to RHDV2 risks, not K5. In all instances vaccination should be administered to healthy animals, and a risk/benefit discussion with each owner is strongly recommended. Adverse events include skin reactions, inappetence and malaise. Off-label use of the vaccination should only be done with consent from the owner.  Avoid cutting grass and feeding it to rabbits if there is the risk of contamination from wild rabbits.  Infected rabbits should be isolated and disposed of in a manner that will minimise environmental contamination. CAV (the Companion Animal Veterinarian branch of the NZ Veterinary Association) are following the approval process and will be making a submission on the risks posed to domestic rabbits from RHDV1 K5 and the need to ensure these are adequately mitigated. We believe the current vaccine will help protect the pet rabbit population from the new strain of calicivirus should it be introduced (we also believe the virus will be approved for use). For previously unvaccinated adults we recommend two vaccinations a month apart, then ongoing annual boosters. We understand there is likely to be supply issues with vaccine stocks from the manufacturers, so recommend getting your pets vaccines done well ahead of the introduction of the K5 virus. While Zoetis have advised me they are trying to anticipate demand and increase production to meet it, we cannot guarantee availability if there is a “panic buy”. 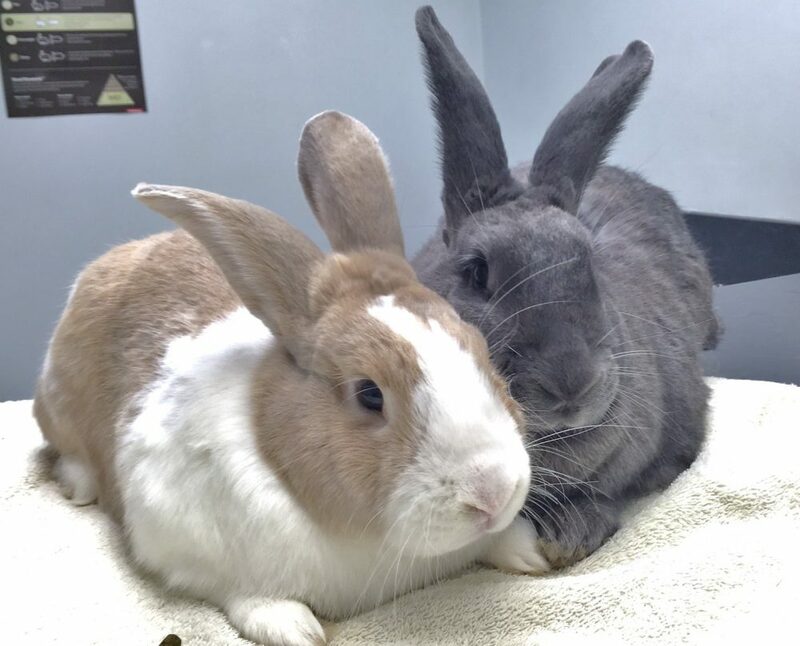 We recommend vaccinating all pet rabbits including those living in what you may regard as “safe” city back yards – there are large numbers of wild rabbits living within the city limits, (particularly post-earthquake) and the spread of this virus doesn’t rely on direct contact with them – flies can spread it. We still see deaths at our clinic regularly due to the current strain of the virus. If you need any further information, please contact us at the clinic.